LED light therapy is painless, relaxing non-invasive skin care treatment. 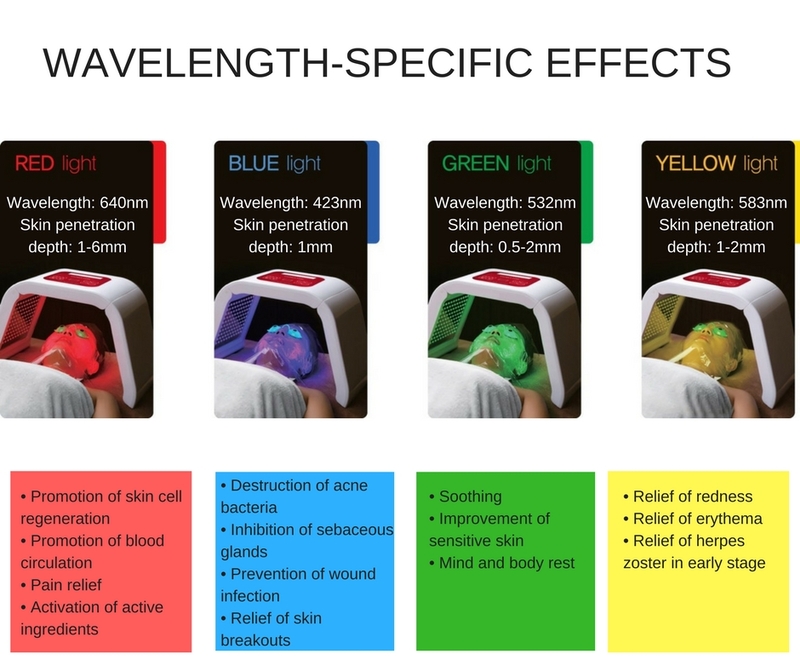 Our LED Phototherapy treatments offer four different colours of light which are used to treat different skin concerns. Each colour can be used on its own or in combination with other colours. Red light stimulates collagen and elastin production, perfect for combating the signs of ageing. It also used for healing, improving circulation, it helps to regulate oil production and effectively reduces pore size. 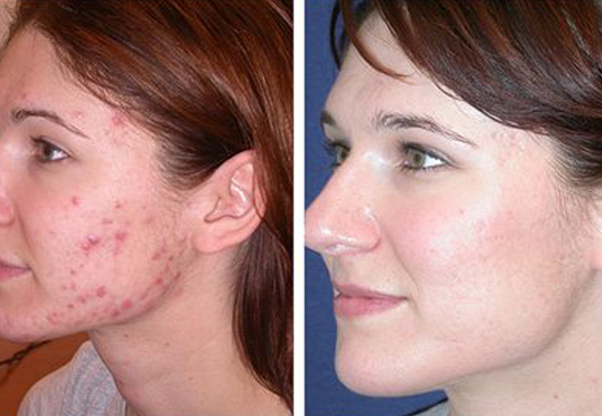 Blue light therapy is used for acne skin due to its powerful antibacterial properties. The Blue Light destroys the P. acnes bacteria that cause acne; making it an effective alternative for clients who may not respond to other acne treatments or antibiotics or those who do not wish to them. Yellow or Amber LED light therapy reduces inflammation and delivers a calming and soothing response so is ideal for treating skin conditions such as eczema, psoriasis, dermatitis, rosacea skin redness. It is also ideal for clients with sensitive skin. Green light Therapy is excellent for treating pigmented or sun damaged skin and helps to combat the signs of ageing. It lightens and reduces existing pigmentation by targeting the cells that produce melanin. This improves overall skin tone and protects skin from future pigmentation. When used regularly, green light can help the skin to look brighter and more radiant. Your skin needs to be clean and free of all makeup. Skin care products and skin creams must be removed to allow the beneficial light to penetrate into the skin. Treatment usually lasts for around 20 minutes, depending on the treatment area and skin disorder to be treated. LED light therapy is a non-invasive and pain free treatment that promotes a feeling relaxation and wellbeing whilst rejuvenating the skin. Exposure to the light can increase serotonin levels, which in turn help to relieve stress, tension and headaches. Any feeling of ‘heat’ is most often due to the stimulation of blood circulation. 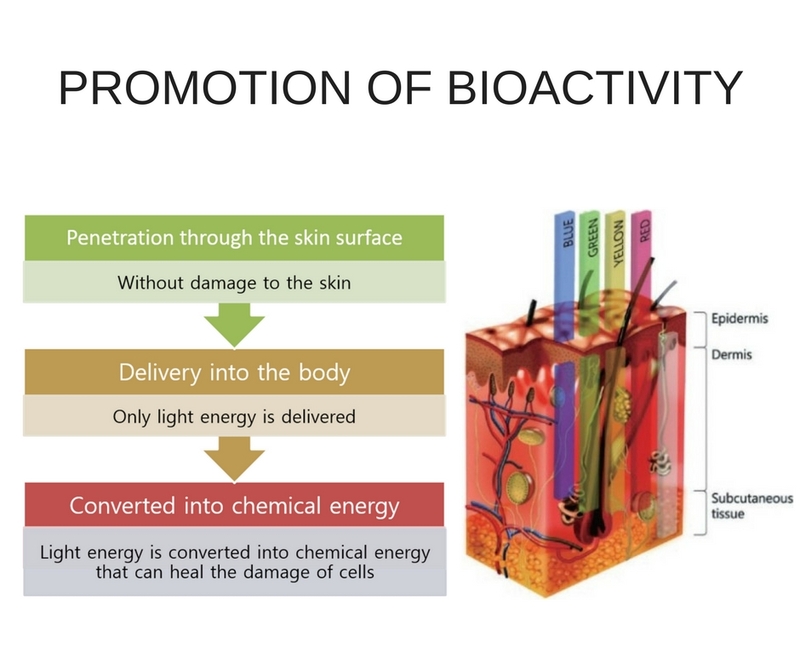 Results of LED Phototherapy can be enhanced when used in combination with other skin treatments such as Chemical Peels, Micro-Needling and mesotherapy please speak to one of our skin experts.